Do you remember that bit in Kill Bill Part 1? 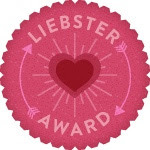 Of course you do, everyone does. Now imagine a whole game based around that whole concept of being a badass armed with a samurai sword lopping off limbs left right and centre. Add a hip hop soundtrack tinged with traditional Japanese and Western sounds and serve with some Samuel Jackson at his wise cracking mo-fo best. 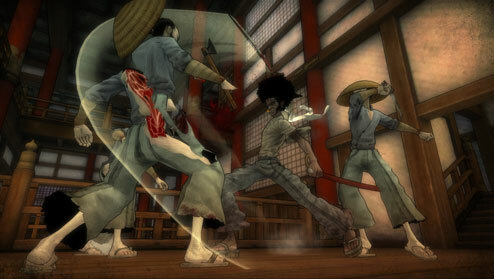 The result is Afro Samurai - a very cool 3D brawler set in a steampunk version of feudal Japan. 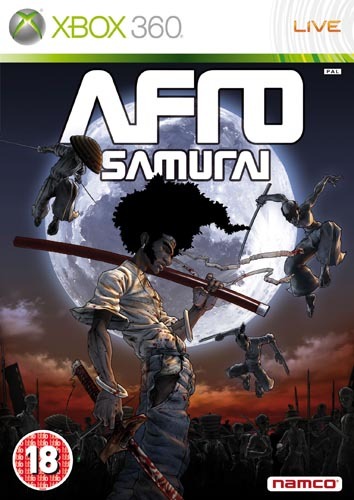 You play as the titular Afro Samurai, unsurprisingly a Samurai with an Afro. As a child he witnessed the murder of his father by the 'number one headband' - a skeletal cowboy. So in present day he is on a murderous rampage to avenge the death. The mythic of the Afro Samurai world is that there exists two magical headbands. Number one headband is said to grant the power of a God, whilst number two headband is required to have the right to challenge the owner of the number one headband. So all owners of the number two headband spend their life constantly being attacked by all and sundry. The game looks amazing, it has a cel shaded look which goes well seeing as how the game is based on an anime. The voice acting is amazing. Samuel Jackson stars as Ninja Ninja - a weird ghost type being that only Afro can see, and who adds mostly hilarious wise cracks to the situations the deathly serious Afro gets into. Also featured is Ron Perlman (of Hellboy fame) who does the voice of Justice - the murderer of Afro's father. The game is ultra violent. Arms, legs, feet, hands, and heads are severed. People are sliced in half both vertically and horizontally, even diagonally all accompanied by torrents of blood. All this makes you feel so powerful; wading into vast groups of enemy samurais, ninjas, androids and stooges, limbs flying everywhere. The combat has a tactical edge to it, there are many combos varying between kicks, hard attacks, and normal attacks with a handy slow mo button. It never gets boring. The game is broken up with a variety of boss battles. Some great such as a free-fall battle against a jetpack wearing robot, others not so good - the end of game boss had an extra weapon in the form of a abysmal camera which kept swinging wildly about making Afros location a pain to locate. Overall the game was fantastic. 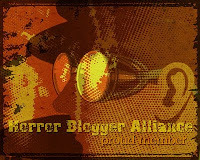 Looks, and sounds great, has a stylish dark story, is humorous, and is very bloody.